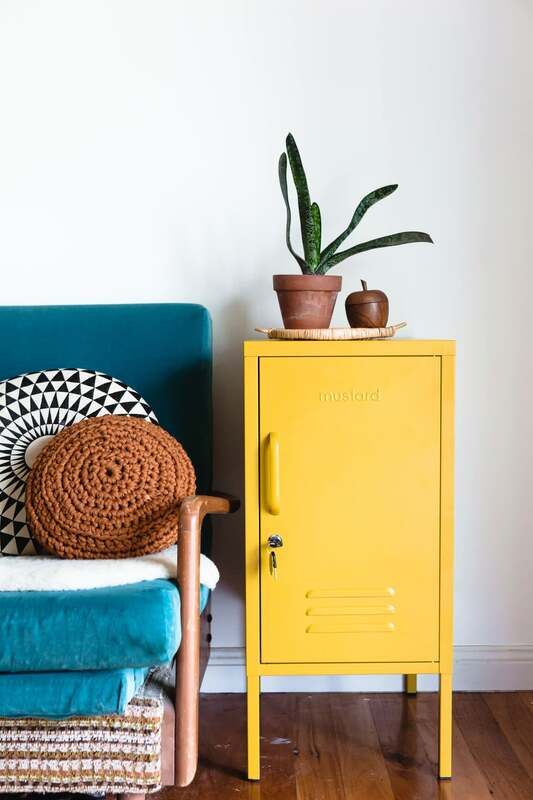 The Shorty Locker from Mustard Made makes itself at home tucked neatly next to your desk, snuggled up next to your lounge or sitting beside your bed. Inside there are two adjustable shelves, one handy hook, a cable hole and safety wall screw holes. The lockers are designed to arrive flat packed for you to easily assemble. Full instructions will be included. Ottie And The Bea in London, United Kingdom.